of the money must be spent on kids who are being treated for cancer at BC Children's Hospital. Thanks to all our generous sponsors, hard-working volunteers and loyal customers for another hugely successful herring sale! 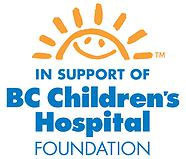 This brings the total raised over the past five years to more than $550,000 for kids who are being treated for cancer at BC Children's Hospital. Cancer kills more kids aged 1 to 19 years old than any other disease. Survival rates for many pediatric cancers have improved dramatically in the last 20 years, but some kids’ cancers, along with late-detected cancers, are very difficult or are impossible to cure. Our Honorary Captains are kids who lost their fight with cancer. Their stories speak for all kids who have fought cancer or are fighting cancer today. The best thing about the herring sale is that 100% of the money goes to the kids. We have the privilege to consult with doctors and oncology staff to find out which programs, activities and items not funded by the hospital are most needed. This helps us ensure that funds can go quickly and directly to improving the quality of life of kids with cancer. We are entirely run by volunteers, so you can find us at the dock on the day of the herring sale. © 2018 by Fishermen Helping Kids with Cancer. Website powered by Organic Ocean Seafood Inc.